Participate in engaging and informative courses in Handbell Musicianship from the comfort of your home, office or rehearsal space. We are pleased to offer the following classes for Spring 2019. All classes are one-hour, live webinars. You have the option of registering for the live webinar or purchasing the video of the session from the VBA Archive in our online store. All who register for a class will also receive a link to the video recording. All classes have a registration fee of $45, discounted to $35 for members of Handbell Musicians of America. To receive the discount, please make sure you are logged in to your member account prior to registering for the course. Select from the class titles below for more information and a registration link. Kathy Kellum retired as a high school foreign language teacher, assistant band director, colorguard advisor, and private piano teacher. She has played piano for 60 years as well as clarinet, bassoon, and saxophone. Kathy has rung handbells for 30+ years. She directs her church handbell choir, rings with Queen City Bronze Handbell Ensemble, and is certified by Handbell Musicians of America as a Level I Ringing Techniques teacher. Kathy and her husband Robert love to travel from their home in Cincinnati, Ohio throughout the country with their two pets. Kathy anticipates great experiences through the Virtual Bell Academy! This 3-course series covers topics relevant to a faith-based handbell program. Select just one or attend all three. A case for developing multiple handbell choirs within the liturgical setting. Session number 1 will explore the benefits of building a fully-graded handbell ministry, the rationale behind it, and offer possibilities for a variety of developments and approaches. A variety of approaches to get what you want from your ringers. Session number 2 will dive into various approaches to rehearsing music to help your ringers grasp and retain concepts, and move towards their best ringing. Setting the table for ringers to connect with their Creator. Session number 3 will explore the place of spirituality within the handbell choir community and ways to encourage ringers, choirs, and directors to embrace the Holiness within themselves and their rehearsals. Foundations and corporate giving programs have at their disposal large sums of money to fund non-profit organizations. Learn how to find grants and prepare grant paperwork to supplement your organization’s budget and take your fundraising strategy to a new level. Derek Nance began bell ringing in high school when his band director Marshal Townsend decided to start to start a group. Between school and a church group directed by Lois Castle, Derek spent his later teen years becoming obsessed with bells. Upon moving to college in Reno, Nevada, he was immediately recruited by Tintabulations Handbell Ensemble under the direction of Barb Walsh. Tintab at the time was still a small school group, but the group grew into a nationally recognized community ensemble after performing the opening concert at the Handbell Musicians National Seminar in 2013. With the bay area only a short drive from Reno, Derek has also performed with the Sonos Handbell Ensemble since 2010, touring with them across the US and Japan. 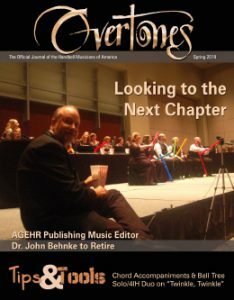 In 2014 Derek was elected as a Member At Large to the Handbell Musicians of American Board of Directors. Starting in 2016, Bob Avant and him have been live streaming performances at the Handbell Musicians of America National Seminar. The Virtual Bell Academy offers courses on a variety of topics related to handbell musicianship all from your computer, laptop, or tablet. Through the technology of our internet video conferencing system, we bring the classroom to you. Classes will be offered each spring and are open to all. 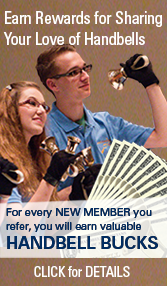 Membership in Handbell Musicians of America is not required. However, members will receive a discount on registration. All the courses offered in in previous years are available to view in our online store. Members, be sure to login to your member account before registering to ensure you are charged the member rate for the classes you choose. To access the archive, click the button under the class description for the class you wish to see. Viewing fees vary by course. Follow the links below to see pricing. This class will teach you ergonomic techniques to help you not only survive those long rehearsals, concerts, and day-long ringing festivals, but also do so without pain or soreness. Ringers will be introduced to the “Three S’s”: Stance, Seat and Stroke, and will focus on developing a relaxed ringing style to help control the bell, ring dynamically, and make beautiful music. Playing handbells involves a lot of problem-solving, and problems are easier to solve if you have the right tools. Learn seven ways to do four-in-hand and see how many problems YOU can solve! These practice drills will help you develop strong four-in-hand skills for both interlocked and non-interlocked styles. We’ll cover ringing in all directions, switching out bells with one or two hands, switching between styles on the fly, stacking and re-stacking, and more! Are you ready for the next level challenge? Six-in-hand is for you! Learn at least three ways to play three bells in each hand, as well as the ergonomic and practical concerns of each style. Michèle rings professionally with Sonos Handbell Ensemble, is the founding artistic director of Timbré, and is an internationally-renowned handbell soloist, conductor, and teacher. She completed a Bachelor of Arts in Visual and Performing Arts in 2012 from Cal State San Marcos and a Graduate Certificate in Performing Arts Medicine in 2017 from Shenandoah University. Michèle is master teacher of Handbell Techniques for the Certification program of the Handbell Musicians of America, and past chair of Area 12. Anatomy sounds technical and difficult to understand. After all, the study of anatomy is only for medical professionals, right? This class will teach you the basics of anatomy as it applies to music making. Building on the concept of, “your body is your instrument”, participants will take away a better understanding of how their body (their instrument) works, moves and makes music. Did you miss this class? Buy the video recording by following the link below. Be sure to login to your member account to receive a $10 discount. Stretching is good, when done right. In this class you will learn why to stretch, what to stretch and how to stretch. Demonstration will be given of stretches that are appropriate for before, during and after a rehearsal, concert, service or other music making opportunities. Note – participants will be invited (and encouraged) to move and actively participate in the class. One of our goals as directors, educators, instructors and handbell musicians is to develop “lifelong musicians”. We do this through teaching music concepts, technique, repertoire, performance practice and more. By learning techniques for healthy music making, coupled with healthy lifestyle practices, we can reduce the chance of injury allowing our bodies the ability to play for a life time. This freedom gives us the opportunity to focus on making music for a greater musical affect. 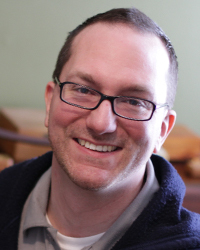 Rob Meyer-Kukan is the director of music at Dearborn First United Methodist Church, Dearborn, Michigan. He is a lifelong musician and an avid learner. He has rung handbells with The Detroit Handbell Ensemble, Classical Bells and the Capital City Ringers(Lansing, Michigan). He also participates in the Bay View Week of Handbells annually. Rob is a licensed massage therapist and incorporates his anatomical knowledge as well as a focus on healthy musician practices in his work with clients and his music students. 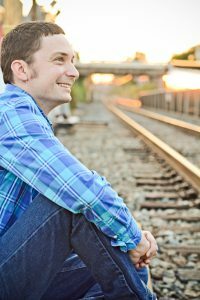 Rob is the owner of the Healthy Musician Institute, LLC, where he is a massage therapist, teaches private music lessons and leads classes and workshops. Are you eager to join a community or college group? Auditions can be new and scary territory for ringers. We’ll step through the entire process from signing up to dealing with the results. Sharon Schmidt is a charter member of The Agape Ringers, an auditioned community handbell ensemble from the Chicago area. 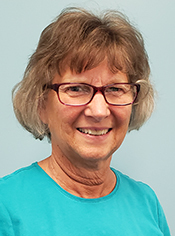 She directs two adult handbell ensembles at Gary United Methodist Church in Wheaton, Illinois, has served on the Illinois State Committee for Handbell Musicians of America since 1994, and was chair for eleven Distinctly Bronze events. 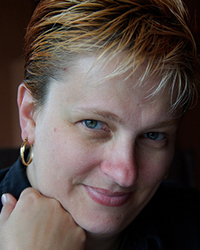 Sharon is currently treasurer for Area 8, and the Certification Program Coordinator for the Guild. 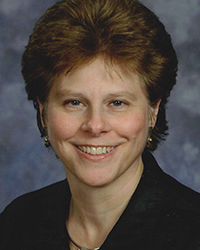 Her teaching experience includes numerous local events, events in Areas 2, 7, 8, and 10, several National Seminars, a National Festival and the International Handbell Symposium in 2008. A good handbell ensemble becomes a great handbell ensemble when the intangibles of music start to come alive. The most fundamental element in a superior handbell performance is having great rhythm. This class will offer a fresh approach to learning and understanding rhythm and musical performances of challenging rhythms. This Masterclass is about helping musicians and audiences connect to a composer’s work. This class will explore ways for conductors to help players and audiences experience the aesthetic content of a musical work through a better vocabulary of gesture and conducting technique. S. Greig Ashurst has over 20 years of teaching in both public and private schools and universities in Louisiana, North Carolina, and Texas. 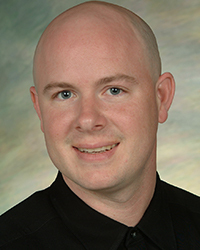 Mr. Ashurst is the director of bands and a technology administrator at Cathedral-Carmel School in Lafayette, Louisiana. Previously, he taught instrumental and choral music and was selected the 2008-2009 “Teacher of the Year” at North Vermilion High School in Maurice, Louisiana. He holds a Bachelor’s degree in Music Education from the University of Louisiana – Lafayette and a Master of Music degree in Instrumental Conducting from the Meadows School of the Arts at Southern Methodist University in Dallas, Texas. He is an active music educator, writer, percussionist, conductor, and clinician in local, state, and national music organizations. In addition, Mr. Ashurst is the director of instrumental and youth music at Asbury United Methodist Church in Lafayette, Louisiana. Mr. Ashurst maintains a very industrious schedule as a guest conductor, clinician, and consultant throughout the United States. This course examines basic handbell and handchime ringing and damping techniques, with an emphasis on ergonomic principles and sound production. Which muscles are used for ringing and what they do, the ergonomic way to ring handbells, damping the bell, handling heavier bells will all be discussed. After completing the coursework, contact certification@handbellmusicians.org to arrange a test or visit this page to see a list of scheduled events where tests may be offered. Building on the basics of note-reading and rhythmic constructions, this course will ensure a basic working knowledge of music theory, both generally and as it pertains to handbells and handchimes. Rhythm, basic keys & the circle of fifths, building chords and scales, basic score navigation, common performance markings and terms, as well as ear-training in the form of rhythmic dictation (i.e., “write down what you hear”), and identification of basic intervals and major/minor triads will be discussed. This class is NOT a “music fundamentals” course, but a music theory course. It assumes students already have a solid working knowledge of basic treble- and bass-clef reading and standard time signatures/note values; an understanding of what sharps and flats do; and, ideally, a general navigation of the notes of the piano keyboard.